Nothing is more important to your company than culture. It doesn’t matter if you’re a two person flower shop or a 10,000 corporate monster, your culture is your brand. It’s how your people interact with you, which truly creates that special sauce that spells success. Sure, there are successful companies where everyone hates one another, but how much fun is that? True success, in my book, is reaching financial goals, providing a quality product or service and having a good time along the way. So, find time to bring everyone together for that “family dinner.” Just like at your home, family time is for celebrating successes, solving problems and most importantly sharing a good laugh! That laugh can go a long way to rallying the team, fostering true relationship and creating the culture that guides your brand. Next Monday, Delucchi Plus will hold our big mid-year all staff meeting and it will be far from “normal.” We are a team of brand storytellers, strategic communicators and digital revolutionists and our culture is built around always doing the right thing, out-thinking our competition and most importantly being creative. Creativity is at the core of our soul and guides everything we do from writing a marketing plan to planning a meeting. Why would our meeting be anything but sincere, focused, passionate and for goodness sake, a little silly? I can guarantee it will start out with a laugh and end with a bang, and the best part… no one has a clue where we’re headed. Yep, there will be 50+ blindfolded knuckleheads walking all over the District come Monday. So, be thoughtful about your approach and invest the time to ensure that you deliver value and foster the culture that will make your brand. 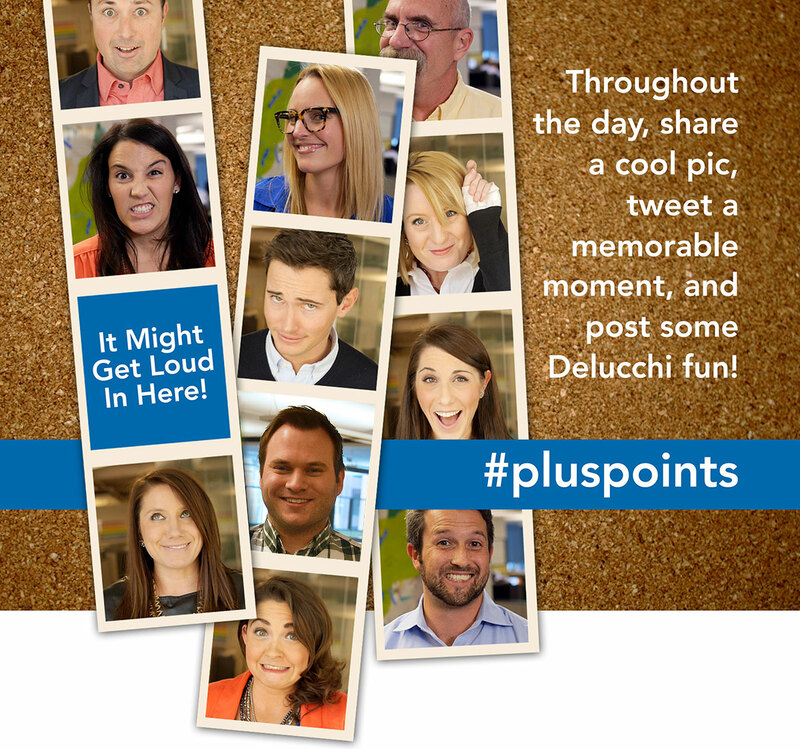 Follow all the @DelucchiPlus fun on Twitter and Instagram at #PlusPoints!